The composite card ,also called hybrid card ,which is made up of a high frequency card and a high frequency card composite or a high frequency card and a low frequency card. It is the smart sensor card with the highest technical content and the most complete functions in China. 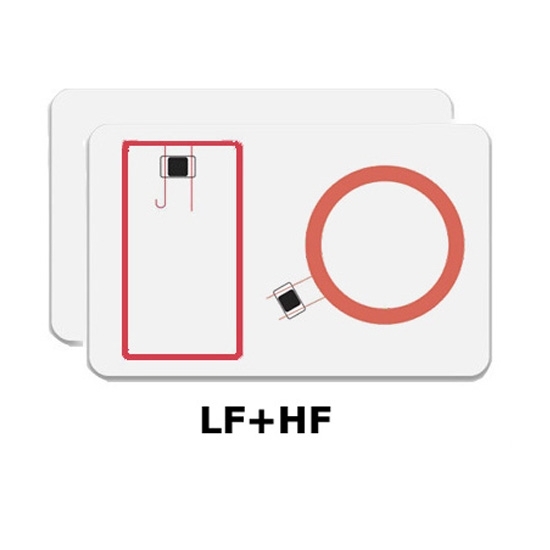 For example: the combination of MF1 card (or ID card) and SLE4442 card is the combination of RF card and contact card; the combination of ID card and MF1 card is the combination of low frequency card and high frequency card; MF1 card (ID The combination of a card and a magnetic stripe card (low diamagnetic strip or high diamagnetic strip) is a combination of a radio frequency card and a magnetic stripe card. The composite card is “one card multi-purpose”, which has the advantages of magnetic stripe card and IC card. The card adopts non-contact design and is directly deducted by radio frequency mode, which is safe, convenient, wear-resistant and fast.